The AIDAnova is the world’s first cruise ship to be driven entirely by environmentally-friendly liquefied natural gas (LNG), which improves the ecological footprint of this ocean giant. The modern propulsion system includes fuel tank supports made of Lignostone® cryogenic from plastics processor Röchling, based in Haren, Germany, in the Emsland district. These perform a supporting role in the truest sense of the word. 337 metres long and 42 metres wide with more than 2,600 passenger cabins: the AIDAnova, built by the Meyer shipyard in Papenburg, is one of the world’s biggest cruise ships. At full capacity, it offers up to 6,600 passengers transportation with a broad variety of new culinary and entertainment options, including a street food mile to whet the appetite, the first floating TV studio, an approximately 3,500 square-meter wellness area, an outdoor fitness studio, and 17 restaurants and 23 bars. There’s also a technological first in its propulsion: the AIDAnova is the world’s first cruise ship to be driven entirely by environmentally-friendly liquefied natural gas (LNG), which improves its ecological footprint. Conventional cruise ships are driven by heavy fuel oil or marine diesel, for example. These produce emissions in the form of sulphur oxides, nitric oxides, soot particles and CO2, which is why cruise ships are frequently criticized. With the new, environmentally-friendly LNG propulsion, however, the AIDAnova does not produce any soot particles or sulphur oxides as it travels, while nitric oxide emissions are reduced by up to 80 percent and CO2 emissions by a further 20 percent. 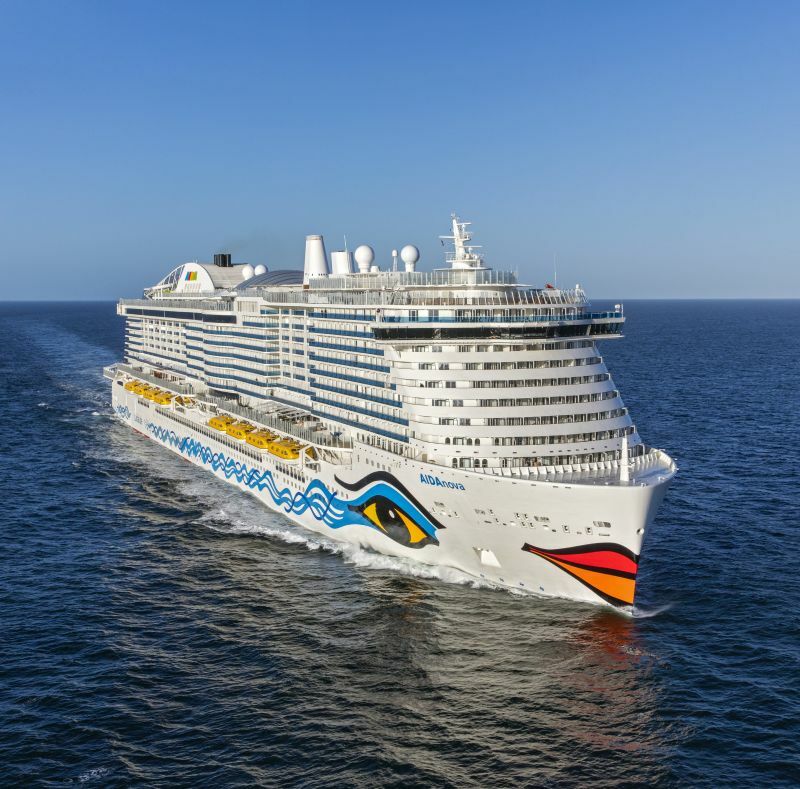 With the new LNG propulsion, AIDA Cruises is hoping to reduce the emissions from its fleet as much as possible, and to this end it is investing millions of euros in the development and implementation of new, more efficient environmental technologies. By 2023, two further AIDA ships will join this new generation. One particular challenge of the new LNG propulsion is the thermal insulation of the three fuel tanks in which the liquefied gas is stored on the AIDAnova. Liquefied gas is natural gas that has been liquefied through cooling to -162 °C, meaning the shipbuilders have to permanently isolate the tanks from the ship’s structure. This is achieved using special fuel tank supports from plastics processor Röchling Engineering Plastics SE & Co. KG, based in Haren in Germany’s Emsland district. The support bearings are made of the material Lignostone® cryogenic and prevent any exchange of heat or cold between the tank and the adjoining structure of the ship. Any heating of the tank would increase the energy required to cool the liquefied gas, and at the same time, the release of the cold would freeze the ship’s structure. The red beech used for Lignostone® cryogenic comes exclusively from western European forests, and thus as a renewable raw material it helps reduce the environmental impact of the AIDAnova. 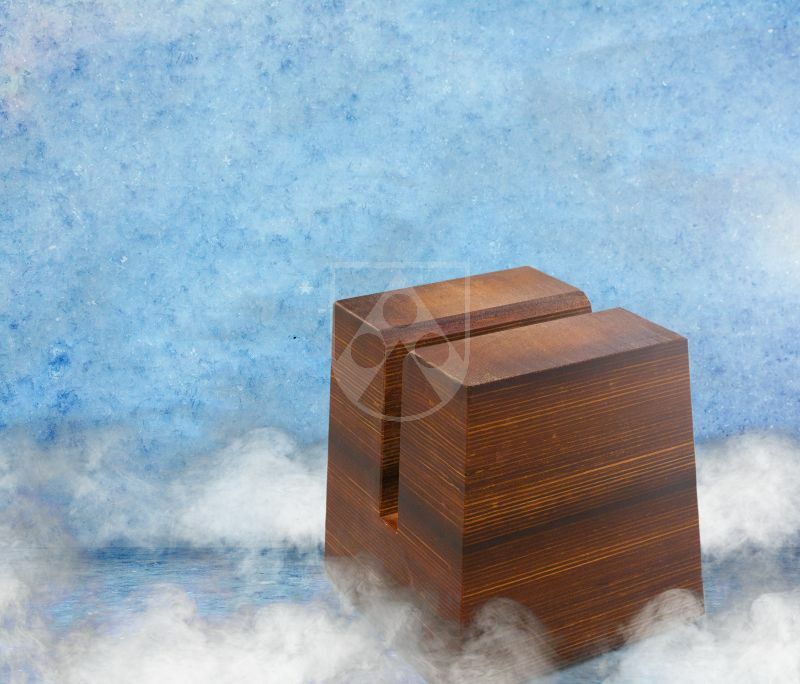 The material from Haren and the properties it possesses have already been proven in international shipping for over four decades. 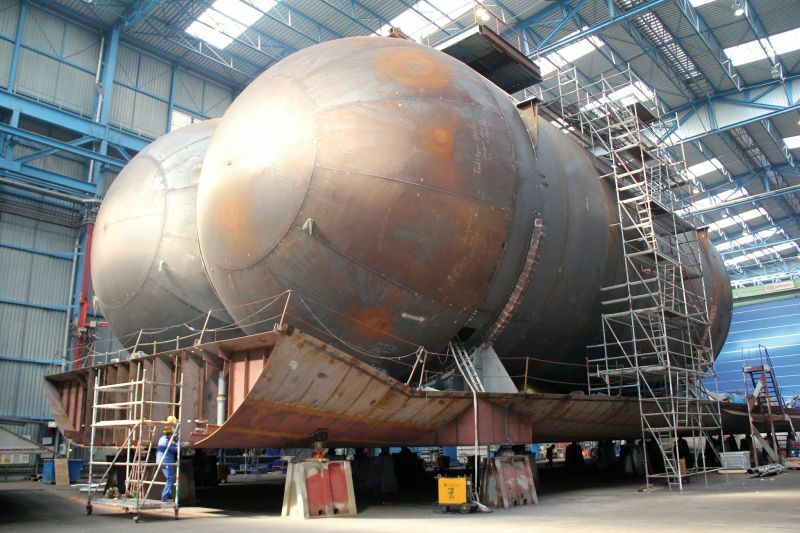 Lignostone® cryogenic is used for cryogenic insulation worldwide in large tankers that carry liquefied gas. Here, the laminated densified wood insulates the vast storage tanks holding up to 165,000 cubic metres from the ship’s hull and is approved by many well-known shipping classification societies, such as GL, BV and ABS. More than 100 gas tankers have been equipped with this material over the last three years alone. The container ship “Wes Amelie” is another vessel to make use of Lignostone® cryogenic. Shipping company Wessels Reederei GmbH & Co. KG, based in Haren, Germany, retrofitted the “Wes Amelie” in 2017 as the world’s first container ship to run on modern, environmentally-friendly liquefied gas.